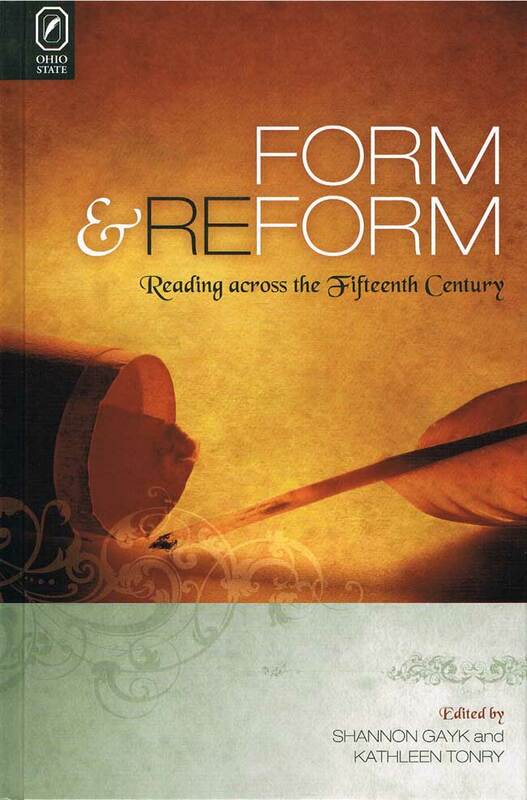 Form and Reform: Reading across the Fifteenth Century challenges the idea of any definitive late medieval moment and explores instead the provocatively diverse, notably untidy, and very rich literary culture of the age. These essays from leading medievalists, edited by Shannon Gayk and Kathleen Tonry, both celebrate and complicate the reemergence of the fifteenth century in literary studies. Moreover, this is the first collection to concentrate on the period between 1450 and 1500—the crucial five decades, this volume argues, that must be understood to comprehend the entire century’s engagement with literary form in shifting historical contexts. The three parts of the collection read the categories of form and reform in light of both aesthetic and historical contexts, taking up themes of prose and prosody, generic experimentation, and shifts in literary production. The first section considers how attention to material texts might revise our understanding of form; the second revisits devotional writing within and beyond the context of reform; and the final section plays out different perspectives on the work of John Skelton that each challenge and test notions of the fifteenth century in literary history. Shannon Gayk is associate professor of English at Indiana University. Kathleen Tonry is assistant professor of English at the University of Connecticut.